To provide the knowledge required to undertake Fire Warden Responsibilities and enable the correct selection of First Aid Fire Appliances. 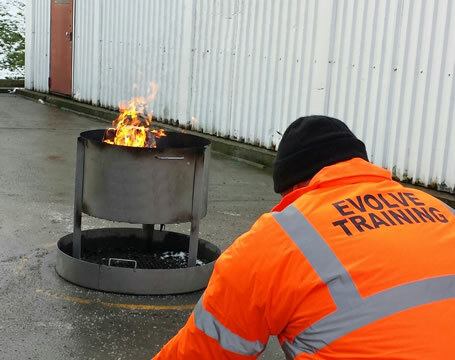 Live fire training can only be carried out at Evolve Training’s premises in Aberdeen. All live fire training will be weather permitting, for light rain and normal conditions, delegates are advised to bring suitable outdoor clothing.